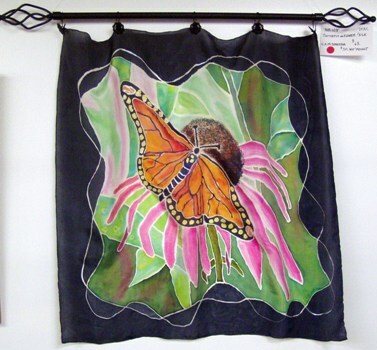 Sheila A. Mundorff-Shrestha (nicknamed “S.A.M.”), formerly a Research Associate Professor, University of Rochester, Eastman Department of Dentistry, with a background in biology, microbiology & chemistry, recreates the wonders of nature by painting on silk, particularly silk scarves. For SAM, art imitates background and interests, such as images viewed through the microscope or frequently in various natural surroundings such as her garden. 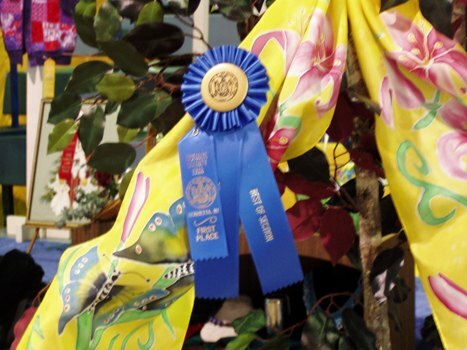 These images include flowers, greenery, birds, butterflies, dragonflies and the like. These inspirations gain new life in her artwork as graceful, colorful shapes covering exotic silks. 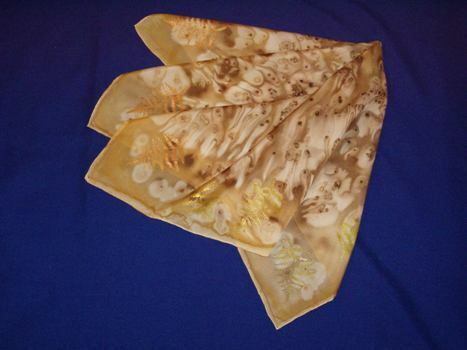 She has even depicted a laser image on silk. “Because I have an extensive background in research, my curiosity about nature and natural processes spills over into my art form,” she says. 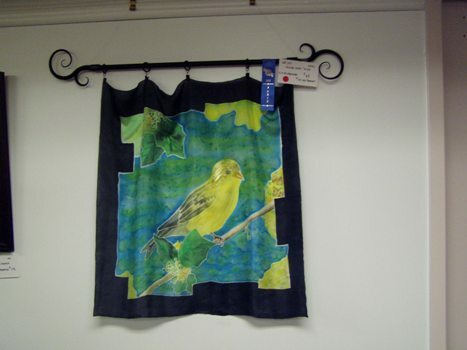 SAM began creating images on silk more than 20 years ago after looking for the right mode of artistic expression. 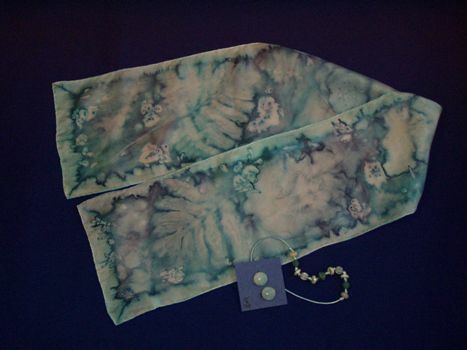 While she began by taking classes in basic silk-painting techniques, the researcher in her wanted to try new approaches. 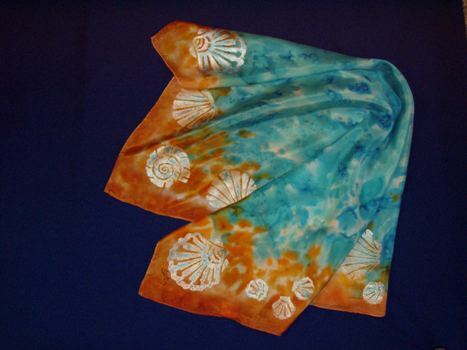 A large part of her art involves experimenting with non-conventional techniques and colors, color effects, and designs achieved by the way dyes are applied to the silks. To accomplish this, she persists in learning new things and new techniques. “ln silk painting, you can experiment with many different effects and beautiful colors,” she says, noting that the dyes and their various applications produce striking, vibrant appearances.